The 2013 Ocean Rodeo Surf Series 6'3" Quad Kite Surfboard, Ocean Rodeo's High End Kite Surfboard line - amazing wave performance.. 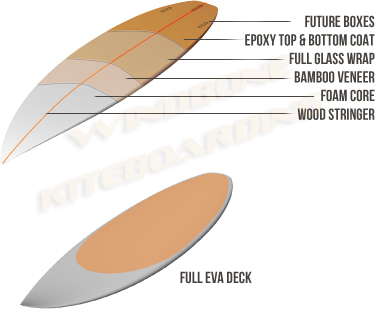 Ocean Rodeo Surf Series line of boards are made from seamless epoxy / full wood deck construction. With shapes designed from years of rider feedback the Surf Series rocker / outline combination delivers fast, hard carving performance. Ships standard with a full deck EVA foam pad, straps and fins. With shapes designed from years of rider feedback the Surf Series rocker / outline combination delivers fast, hard carving performance. 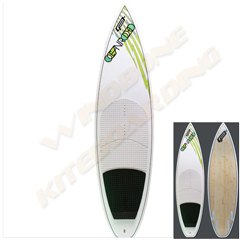 2013 Ocean Rodeo Surf Series Quad 6-3 Kite Surfboard - Advanced Wave Performance. Contact Us for local Ocean Rodeo Demos today..
Ride the 2013 Ocean Rodeo Surf Series Quad Kite Surfboard and take your wave kiting to the next level! 2013 Ocean Rodeo Surf Series Quad Size: 6'-3"
Also, please Contact Us for all your F-One, RRD, Crazyfly, Ocean Rodeo, Peter Lynn, Epic, Litewave, HQ, Mystic, Broardworks, Bravo Elec Kite Pumps, Trainers, Kitesurfing Lessons, and General Kitesurfing needs -if you don't see it just ask.. (some used & closeout gear currently available).. Extensive Demos also available in the NJ-NY-PA-Metro area (F-One, Crazyfly, RRD, Ocean Rodeo, Epic, Boardworks, & Litewave Demo Test Center)..
2013 Ocean Rodeo Surf Series Quad 6-3 Kite Surfboard from WindBone Kiteboarding your Authorized Ocean Rodeo Kiteboarding Specialists. Ocean Rodeo Surf Series Quad 6'-3"